As she followed the path, an old man dressed in soiled work clothes and a worn soft hat was whistling. He worked on his hands and knees, weeding out the base of an ancient stone wall. She approached. He looked up and smiled. His face was tan and weathered; his eyes, kind and aqua blue. “Ciao, Bella,” he called out. Steven Manchester is the published author of the #1 best seller, Twelve Months, as well as A Christmas Wish (the holiday prequel to Goodnight, Brian). He is also the Pressed Pennies, The Unexpected Storm: The Gulf War Legacy and Jacob Evans, as well as several books under the pseudonym, Steven Herberts. His work has appeared on NBC’s Today Show, CBS’s The Early Show, CNN’s American Morning and BET’s Nightly News. Recently, three of his short stories were selected “101 Best” for Chicken Soup for the Soul series. 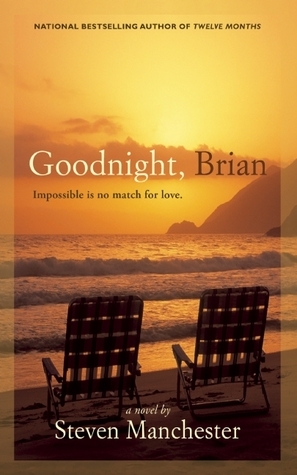 Thank you so much for sharing Goodnight, Brian with your readers. I hope they enjoy the book!